The brunt of the forces was in the Provincial armies that were made up by the legions and their auxiliaries in total around 240k men. The Garrison in Rome was about 15k men, although few in numbers these units were the most powerful in political terms. Finally, the Navy consisted of about 45k men. Let’s start with the Garrison in Rome. They consisted of the Praetorian Cohorts, the Urban Cohorts and the Vigiles. The number of Praetorians ranged widely from about 5 000 to 10 000 men. These cohorts were under the orders of one of two prefects. Each cohort was lead by a tribune and six centurions. Additionally to the Praetorians there were another 3 cohorts in the vicinity of Rome the so called Urban Cohorts. Each consisted of 500 men each. They mainly served as a police force within Rome, e.g., they dealt with the control of slaves and unruly citizens. Originally they were under the authority of the city administration, but in the 2nd century this was changed and they were more closely linked to the Emperor. Finally, the vigils was a force of 7 cohorts with 1000 men each. Their main function was firefighting and patrolling the streets at night, nevertheless they were lead as a military unit. 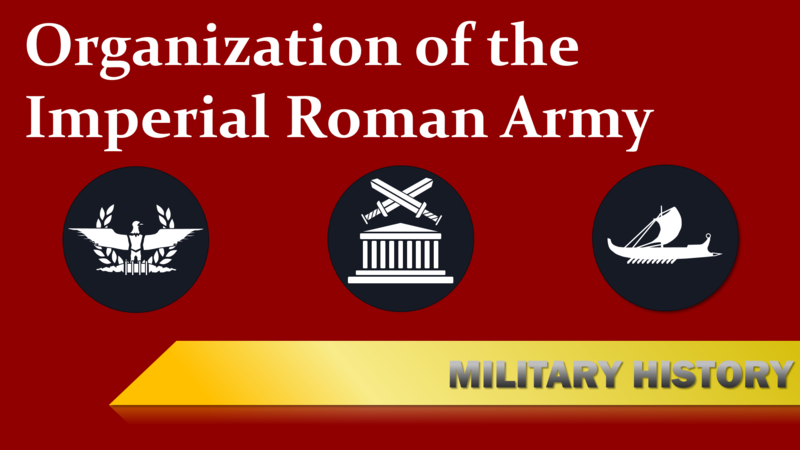 Whereas the units in Rome were the most important in political terms, the most important military units were the provincial armies consisting of the legions and auxiliaries. Every province that bordered to barbarian region had one or more legions stationed in it. They were commanded by a legate who also was the governor of the province. If a province had several legions stationed in it, the governor was also the army legate that had command over the legates for each legion. The legates were chosen carefully depending on the circumstances of the province, because being a legate was a step in political career not a military one. The other officers in the legion command were six military tribunes and the camp prefect. The military tribunes were split in two groups, one of them was from the highest social class and this was basically his apprenticeship in command. The other five tribunes were form the upper class and had no command authority but fulfilled administrative duties. The third in command was the camp prefect, which was a senior position in a military career and usually held by men in their fifties. The number of legions only varied a little bit and was usually around 25 to 30 legions. A few were lost or disbanded. Probably the most notable loss occurred in the early Empire, when the Germans were less welcoming to other civilized cultures and destroyed three legions in the Battle of the Teutoburg Forest. A legion consisted of around 5000 men of mostly heavy infantry and some cavalry. The infantry was made up by 10 cohorts each with 6 centuries consisting of 80 men each. The attached cavalry unit had 120 men. Note that these numbers varied later on. Most notably, is doubling the number of soldiers in the first cohort. Now a legion was an elite unit of mostly heavy infantry, thus it was important to conserve its forces and also to support it with more agile troops. This is where the Auxiliaries come in. Each legion had its own Auxiliaries attached. These were made up by men from the lower class that had no Roman citizenship. that was free, but had no Roman citizenship. Their manpower was about equal to that of the legion, but without a central command structure beyond the cohort. Auxiliaries units were lighter, more mobile and also more expandable. They usually made first contact with the enemy, allowing the legate to conserve his legionnaires for the decisive engagements. Now, to the final the part to the Roman Navy, which was permanently established in beginning of the Empire. Nevertheless, it was never was as important as the legions. Furthermore, the information about the Navy in certain areas is scarce and quite disputed. Its main functions were securing the seas and to support the legions in various campaigns. The Navy was organized into fleets, each fleet was commanded by a prefect and consisted of squadrons of probably 10 ships each. A captain commanded a ship, whereas a centurion was in charge of the crew. Unlike in most movies, the rowers of Roman galleys usually were not slaves and were expected to take part in combat at sea and on land. The two major fleets, where based on the Eastern coast and Western Coast. Each fleet consisted of about 50 ships mostly triremes. There were several smaller fleets mostly in important areas like Egypt, Rhodos and Sicily. But the Navy wasn’t limited to the sea. There were river fleets too, e.g., on the Danube. These rivers fleets were used for patrolling the borders and various support duties. Some fleets were established temporarily to support campaigns of the Legion, e.g., a fleet used on the Rhine and German North Sea. 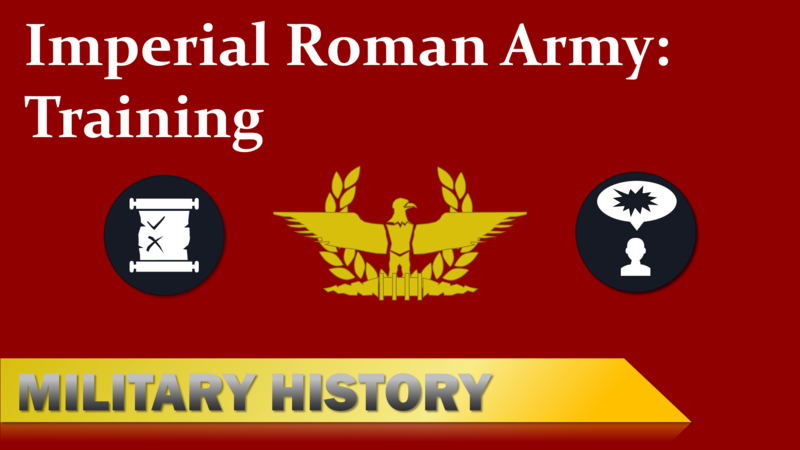 The Imperial Roman Army had to maintain order in a vast area with various different challenges and enemies. 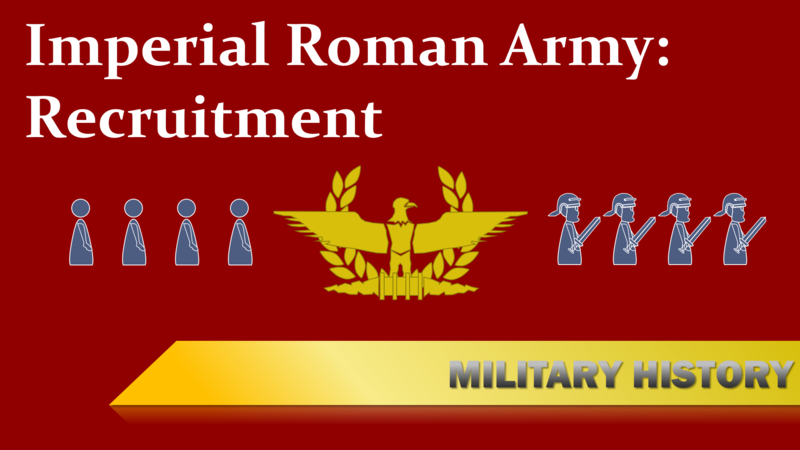 To adapt to these challenges a diverse force was needed, ranging from elite troops on the fringes of the Empire to firefighters within the walls of Rome. Considering the secondary role of the fleet in an Empire that covered the whole Mediterranean underlines that Rome was first and foremost a land power. Thus the quote “all roads lead to Rome” is not without merit.